by Sarah Lawrence College, Yonkers Public Schools, & Fulbright NY. Panelists: Mariam Farooqi (Pakistan), Mir Hassan (Pakistan), Tony Spanakos (US Fulbright Alumnus to Brazil/Venezuela), Jarod Yong (Malaysia), & Josephine Dorado (President of Fulbright NY). For more than 15 years, Sarah Lawrence College (SLC) has held this 5-day Writer's Workshop for High School Students. This program aims to provide a safe environment for participants to experience writing in a non-competitive, & non-judgmental environment while encouraging risk, exploration, and adventure in the creative process. 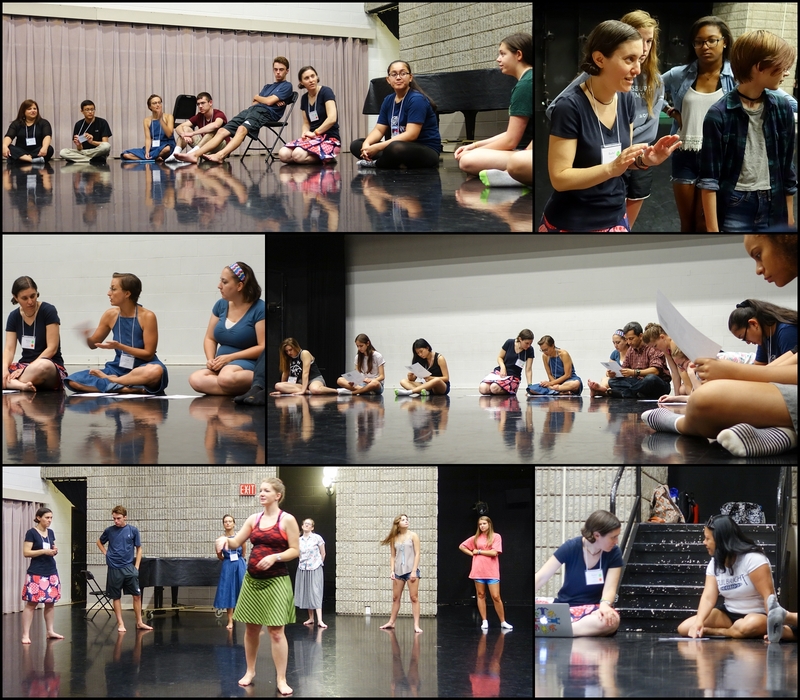 Every day, participants take part in writing & theater workshops led by performance artists, writers, & poets. The third day of the workshop is International day. This is when participants are encouraged to take on a global perspective & explore writing/theater from across the globe. This is also when a panel of Fulbrighters are invited to speak to these brilliant young minds who are potentially future US Fulbrighters who will contribute to international cultural & educational exchange. Prior to my participation in the panel, I wanted to read up about it so that I could prepare myself accordingly. However, I couldn't find any details on the internet as I only knew this workshop as the "Youth Mentoring Initiative". In this blog post, I'll share my observations as well as what happened during the day for the benefit of Fulbrighters who are invited to be part of future panels. International Day: What did we do? We actively participated in the workshop. I got to experience what a writer's workshop was like & I really enjoyed it. I wish I was a teenager again. Actually, don't we all. That morning, we were given the opportunity to became one of the participants of the workshop. We broke off to join the different small groups, took part in the warm-up & mindfulness activities as well as the writing workshop in the morning. We had lunch with the faculty members of the workshop & did our panel session immediately after lunch. The students were very curious about us & I had a few conversations with them in between activities. They had loads of good questions about my country and the languages I spoke. They were not aware of what Fulbright was & most of their future plans were intranational. However, I was pleasantly surprised that one of the student's had a Malaysian best friend who was a college student at TAR. She wants to join her at TAR when she graduates from high school. Malaysia certainly welcomes you! Let me know if you need additional information or advise. The Panel: What did we talk about? A short Q&A about what it's like to be an international in the US or abroad. 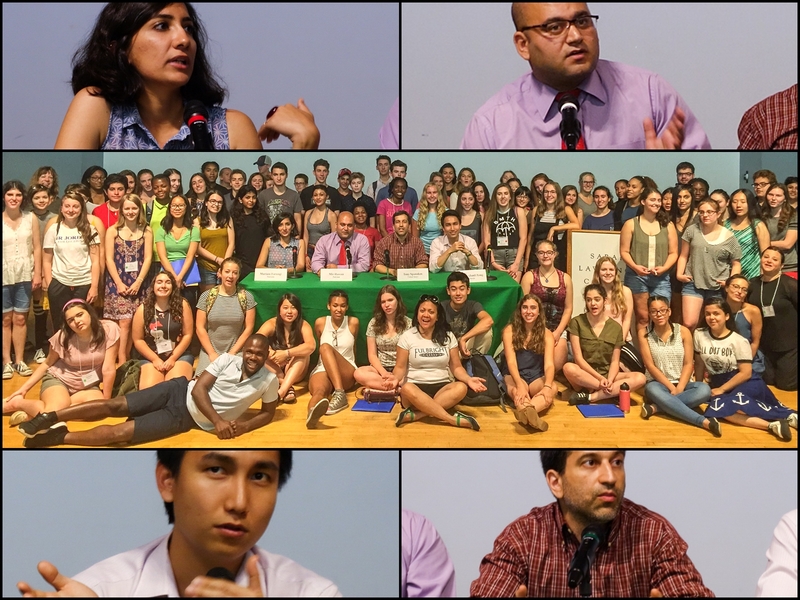 We fielded questions from the 90-something crowd in an auditorium. Their ages were 14 & upwards. We had only 1 hour so we only addressed around 6-7 questions. I really wished it was longer because the panelists had so much to contribute. -What are you doing in the US? -What was most difficult to get used to in the US/abroad? -How to make the best of the opportunity? I invited the students to take part in the video exchange program I'm running to connect classrooms in the US to classrooms in Malaysia. They seemed very interested when I spoke about it, but, so far, none have contacted me about it. Reflecting upon what I did, which was ask them to Google me & contact me because we were really short of time, I should have made my pitch & passed around a physical sign up sheet at the very beginning of the session. Dear students at the workshop, if you're reading this, do contact me! If you're a teacher in the US or Malaysia who is interested in getting some of your students involved in the video exchange program, contact me too! When they said non-competitive & non-judgmental, they meant it. Firstly, they asked what the participants identified as: he/she/xe/etc. They were able to voice out their preferences & had their identities acknowledged. This is very progressive & displays a heightened sense of professionalism we should all aspire to as educators. In Malaysia, society tends to frown upon those who do not subscribe to strict binary gender classifications. Additionally, participants were allowed to be express themselves creatively without any hidden rules. I was taken aback when they used swearwords & aggression in their creative work. None of the adults responded negatively to it. They were allowed their space. This is very refreshing to me because I come from a culture with a lot of underlying social norms on politeness & face. Malaysians tend to refrain from public use of swearwords. Students were also allowed to pass on sharing their work. 99% of the participants did share their work but those who did not for one reason or another were allowed to refrain from sharing. They were not pressured, nor persuaded to participate in sharing if they didn't want to. I'm very used to workshops like these where students absolutely had to contribute & share their work. All in all, I had a great time. I've always enjoyed talking to young people & learning about how education is done in different contexts. I made a lot of new friends & hope to be able to contribute even more to improved relations between Pakistan, the US & Malaysia. Political ideologies aside, we are all fellow members of the human race & there should not be any walls separating us from a true symbiotic learning relationship. Feel free to contact me if you have any questions, & comment below if this was useful to you. Most importantly, contact me if you're interested in pitching in or participating in the video exchange program!